You are invited to join the DW2015 Technical Tour. This is a unique opportunity to see the final works of Foz Tua dam and visit the UNESCO World Heritage Alto Douro Wine Region. 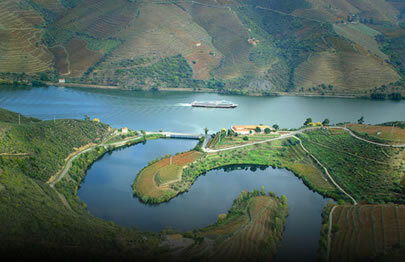 The Douro valley was one of the destinations of Fodor's Go List 2014 being classified as “The most beautiful wine country in the world” by this important travel publisher. Foz Tua dam is located in the Tua river, a tributary of the right bank of the Douro River, about 1.1 km from the confluence of these two rivers. EDP is the dam owner and they will be hosting our Technical Visit. Foz Tua dam is a 108 m height concrete arch dam. 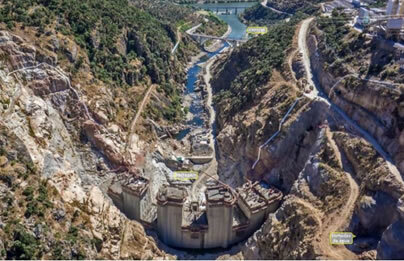 Its hydroelectric power plant will have two reversible generators with a total output of 260 MW. The investment estimated for the construction of the plant and its water infrastructure is about EUR 370 million. The EDP Representative and the Project Team look forward to welcoming you at Foz Tua dam! The dinner will be held in a singular Quinta located in the Douro demarcated region, classified by UNESCO as World Heritage. You also will have the unique opportunity to have a guided visit to the cellar located in the Quinta, which will give you to know a bit about the history of the Port wine.